Mobile health clinics are an innovative way to deliver care to vulnerable populations. They are a creative solution for reaching people were they are, bridging the gaps in care and creating a community hub of wellness with respect and concern for one another. Vulnerability is a state of mind. An unforgiving and judgmental world can cause it. In 1992 when Harvard medical student, Cheryl Dorsey and I created the Family Van, a mobile health clinic that serves urban Boston, we did so with our prospective clients because we respected their ideas. We believed in their knowledge of themselves and the lessons their experiences had taught them. We valued their judgment. We worked with them to mine their brilliance and to share and respect all our resources. Before we drove the Family Van into their community, we were already a welcomed member of their extended families-as our original tag line said-We are Family. Using this nontraditional approach to assessing needs and building a health and social services delivery program we created The Family Van, a program that has been sustained, replicated and proven to be effective in improving the health of our clients despite their vulnerable circumstances [1,2]. We have also learned that we are not alone. There are an estimated 2000 mobile health clinics nationally providing services to an estimated six million visitors annually . All of these mobile clinics target underserved and vulnerable populations, people who typically are outside of the conventional health care system–the invisible, high-risk populations about which little is known until they are captured as a health disparity statistics. Mobile clinics are a creative solution for reaching people were they are, bridging the gaps in care and creating a community hub of wellness with respect and concern for one another . What can these unsophisticated street-based providers of health services offer mainstream health care? Is there a perspective we gained by looking up from the street? Might that perspective match our patient's perspective? Accountable Care Organizations are being required to do community needs assessments. That is an important exercise but I suggest most mobile clinics are the concrete manifestation of what a community needs and, more importantly, what it wants. Simply stated, I believe to better understand the needs of a community we should investigate why their local mobile health clinic works. Why are mobile clinics so successful at engaging vulnerable and hard-to-reach populations? Robert Wood Johnson Foundation has reframed the concept of "The social determinants to health" to the operationally pertinent statement that, "Health starts where we live, learn, work and play" . I use that as the starting point for call to action. I suggest we might do a different type of needs assessment and look at why the people in vulnerable neighborhoods are choosing to come to mobile clinics in the first place-what needs are being served by these curbside clinics. Mobile health clinics are an important part of the armamentarium in the battle to serve and protect vulnerable populations. Mobile health clinics are a common community-initiated solution to commonly encountered barriers to health. Both metaphorically and literally they drive through the barriers and bring good health to people on the street where they live. Unlike many public health organizations or health care institutions, mobile clinics are usually a local solution designed to be synergistic with local resources and address local problems. As a result, the arrays of mobile clinics that exist across the country are as diverse as the communities they serve and the problems they were designed to solve . Like many community-initiated solutions, their narrow applicability makes it hard to find a universal rubric by which to judge the product. However, that variability might just be the secret to their success–they are each a sui generis solution to a unique set of circumstances. They are the outgrowth of an unspoken needs assessment. There is evidence that at least one typical mobile clinic, The Family Van, improves health and saves money [3,6]. So it must be addressing critical needs-but what needs are they? If you ask the Family Van patients, they say this mobile clinic is an important part of their health care world [4,7]. Mobile clinics help ensure the health of our neighborhoods, so shouldn't we try to learn more about what they do [8-10], how they do it, and most importantly, the needs that provoked them to emerge to begin with? What are the characteristics that have allowed these mobile clinics  to be successful and flourish in the communities where our most vulnerable populations live, learn, work and play? Hill C, Zurakowski D, Bennet J, Walker-White R, Osman JL, et al. (2012) knowledgeable neighbors: a mobile clinic model for disease prevention and screening in underserved communities. Am J Public Health 102: 406-410. Song Z, Hill C, Bennet J, Vavasis A, Oriol NE (2013) Mobile clinic in massachusetts associated with cost savings from lowering blood pressure and emergency department Use. Health Aff (Millwood) 32: 36-44. Carmack HJ, Bouchelle Z, Rawlins Y, Bennet J, Hill C, et al. (2017) Mobilizing a narrative of generosity: patient experiences on an urban mobile health clinic. Commun Q pp: 1-17. Oriol NE, Cote PJ, Vavasis AP, Bennet J, DeLorenzo D, et al. (2009) Calculating the return on investment of mobile healthcare. BMC Med 7: 27. Hill CF, Powers BW, Jain SH, Bennet J, Vavasis A, et al. (2014) Mobile health clinics in the era of reform. Am J Manag Care 20: 261-264. Brown-Connolly NE, Concha JB, English J (2014) Mobile health is worth it! Economic benefit and impact on health of a population-based mobile screening program in new Mexico. 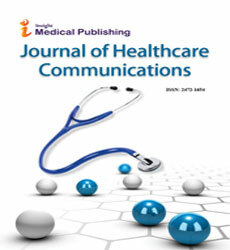 Telemed J E Health 20: 18-23. Abdel-Aleem H, El-Gibaly OM, El-Gazzar AF, Al-Attar GS (2016) Mobile clinics for women's and children's health. Cochrane Database Syst Rev 8: CD009677. Vos J, Borgdorff MW, Kachidza EG (1990) Cost and output of mobile clinics in a commercial farming area in Zimbabwe. Soc Sci Med 31: 1207-1211.